Product prices and availability are accurate as of 2019-04-17 12:36:28 UTC and are subject to change. Any price and availability information displayed on http://www.amazon.com/ at the time of purchase will apply to the purchase of this product. 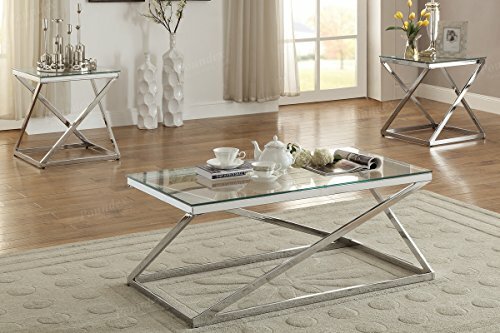 This bright silver chromed finished frame supports the clear tempered glass tabletops of this 3-piece coffee table set making it an ultra stylish piece of home furnishing.